Well, then. This is about as horrendous as a two-flavor combination could get. Grab some black jelly beans from further down the aisle, and you’ve got the worst day possible all ready to go! It seems that lots of my cereal reviews start off with an admission akin to, “I don’t usually give (whatever cereal) the credit it deserves. Then I eat it and am glad I got it.” So I guess that can be my catch phrase. I don’t usually give Honeycomb the credit it deserves. Then I eat it and am glad I got it. Hmm, not as catchy as I’d hoped. 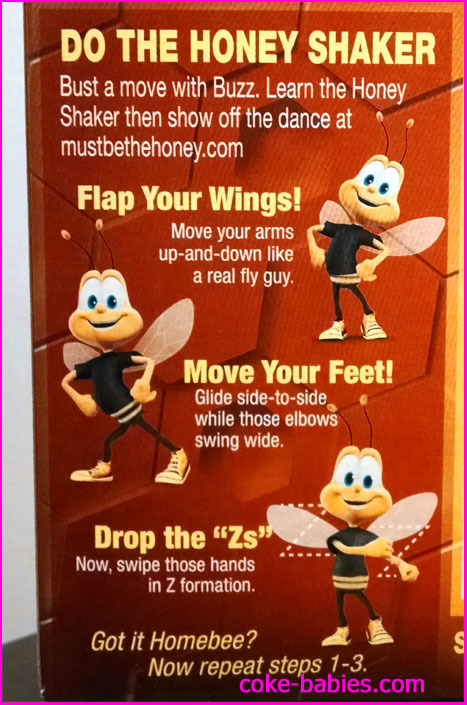 While confirming the actual spelling of Honeycomb, it became clear that Post isn’t particularly strict about presenting the cereal’s name. I always thought Honeycomb was one word, but the box indicates it is “Honey-Comb”. But according to Post’s web site, it is indeed Honeycomb. So on the box, they broke one of the main rules of professional writing – avoid that dangling hyphen thing. Oddly enough, “dangling hyphen thing” is the actual term. What an exciting paragraph that was! I saw the “Limited Time Only!” and was confused. Then I noticed the almost subtle “With Twisted Marshmallows” subtitle, and was even more confused. Why would they add marshmallows to this? Honeycomb’s cereal pieces are gigantic – they are probably the biggest pieces of any cereal. So are the marshmallows going to be as big as quarters to keep pace, or are they going to be regular-sized cereal pieces lost amidst the monstrous Honeycomb pieces? 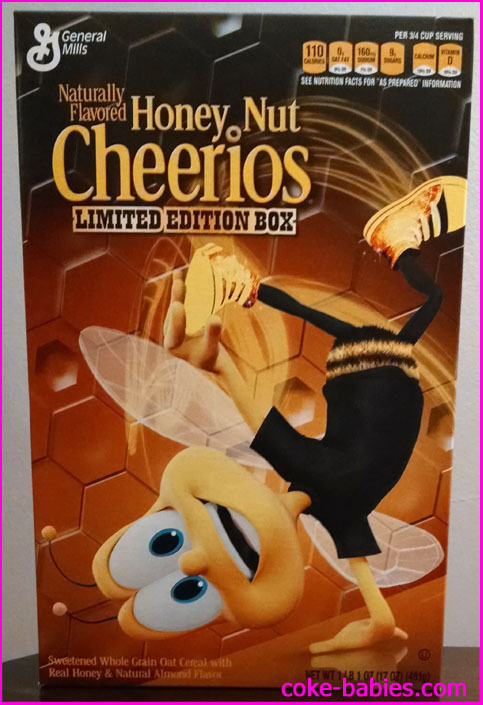 What was also surprising was the box’s design – usually when a cereal comes out with a limited-edition variety, the box design gets a dramatic makeover. 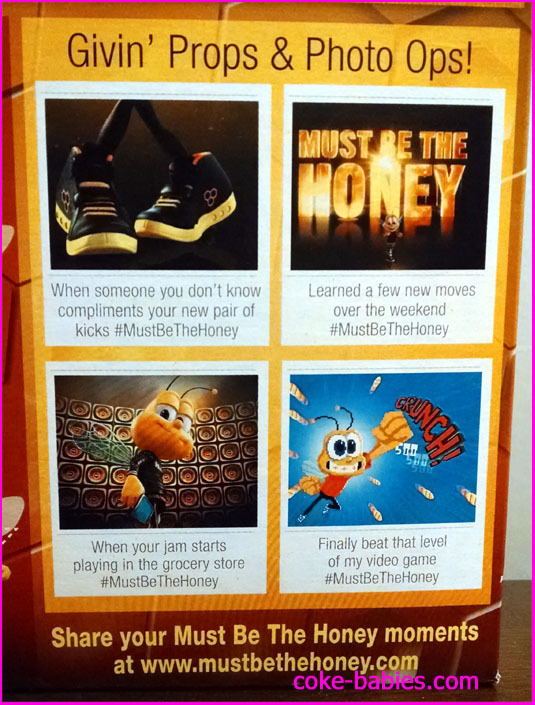 Instead, Honeycomb was chill about it, content to just add a little line at the bottom to let you know what’s up. There are also marshmallows flying around, but they’re almost camouflaged. In retrospect, I don’t even remember seeing regular Honeycombs on the shelf – only this. So is this “limited time only” edition taking the place of Honeycomb completely, albeit temporarily? It is extremely possible that I just forgot to look closely for the regular version. I’ll let you in on a little secret – my reviews don’t have the most stringent of guidelines and aren’t the most disciplined. This might also help explain why this site clearly hasn’t been re-designed since the year 2000. 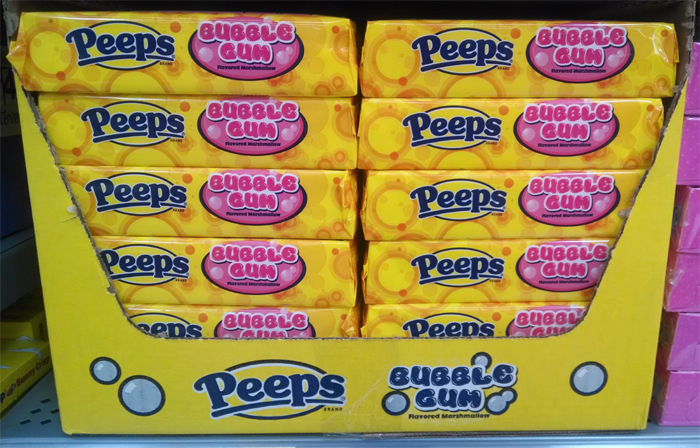 So the official answer on whether or not the marshmallow version has temporarily replaced the regular version altogether is – “maybe, I don’t know – it’s possible”. 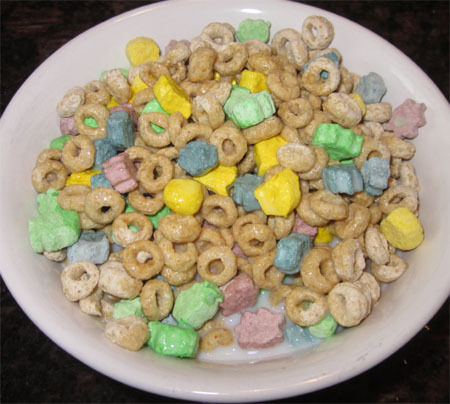 Again, the biggest question for all of this is, “Why?” Some cereals seem like they don’t need marshmallows, but wind up being pretty solid – Froot Loops, Apple Jacks, and other examples I don’t feel like remembering at this moment. But Honeycomb? It makes about as much sense as adding marshmallows to Frosted Mini-Wheats. But then again, they did get me to buy a box, which I probably wouldn’t have otherwise, so I have no real room to talk. Pouring the cereal, I was (again) confused – I didn’t see any marshmallows. Upon closer inspection, I found some of the saddest looking marshmallows you will ever see. They are about 1/6 the size of the cereal pieces, and colored in this tan and slightly tanner tan color scheme. They look expired. 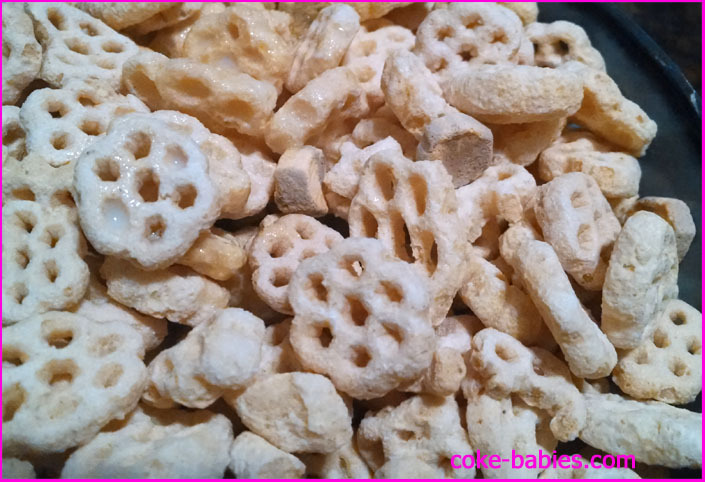 When I did my reviews of expired cereals, many of the old marshmallows looked similar to Honeycomb’s marshmallows. Which, as you may have guessed, is not a compliment. 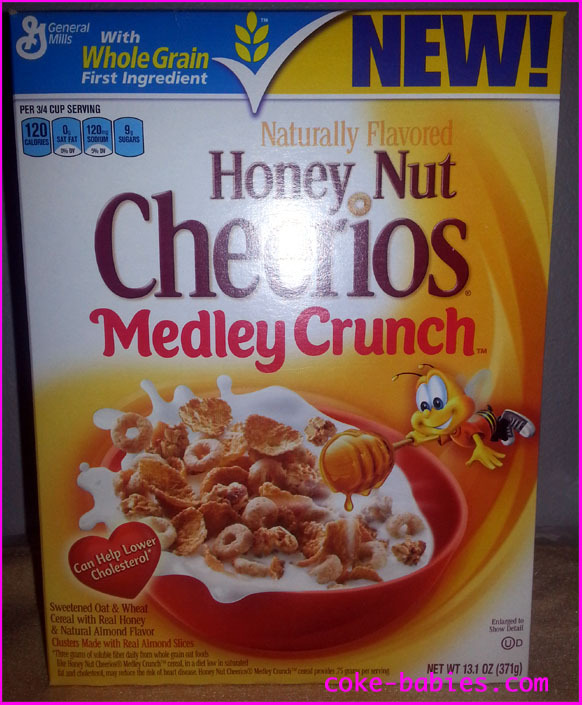 So visually, the cereal is not a home run for Honeycomb. 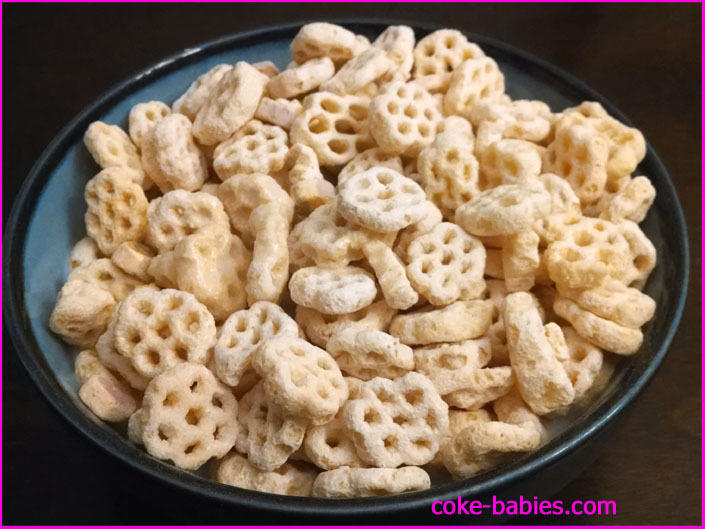 As for the overall taste and eating experience – it’s like eating a bowl of Honeycomb cereal, except once in a while something feels different while chewing and tastes sort of different, but you’re not sure why. I’m not saying it isn’t a good cereal – it is. It’s just a strange and very unnecessary change, especially given how unappealing the marshmallows look. Speaking again of the marshmallows, that “Twisted Marshmallows” claim on the box is a bit of a sham. 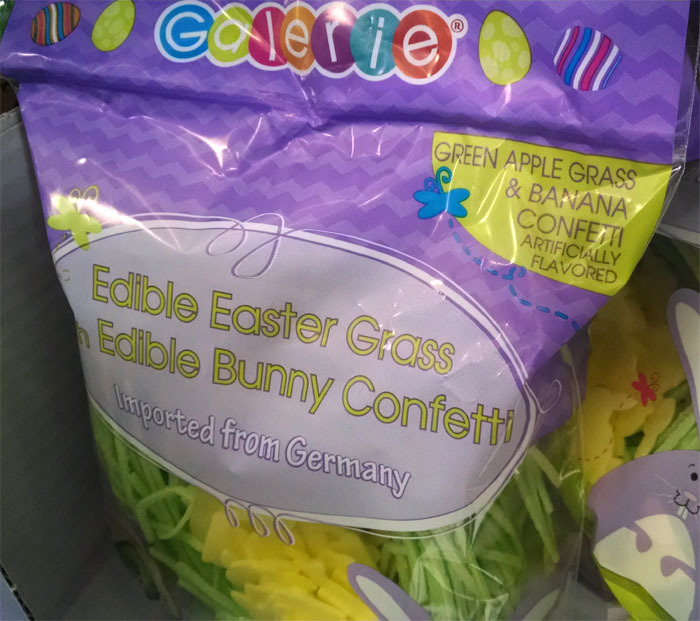 I was initially expecting something shaped like a little Twizzlers Pull ‘N’ Peels. Instead, we get little hexagons with a swirl on it. Twisted marshmallows? More like swirled marshmallows! I feel sorry for Post after that burn. 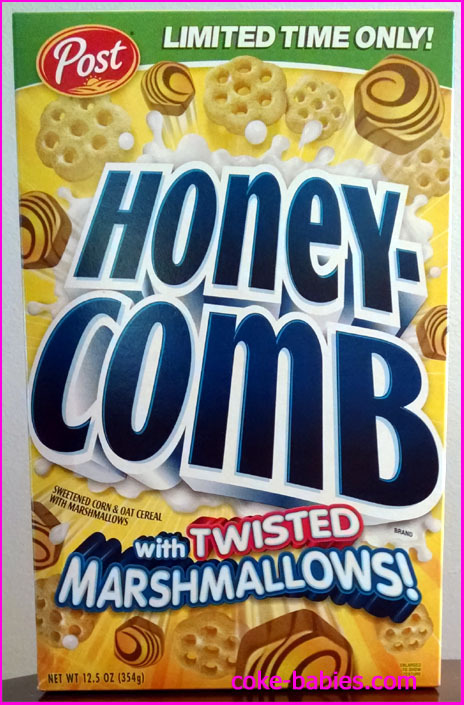 So the marshmallows are pointless and rather unappealing to look at, but the gigantic Honeycomb pieces crush the marshmallow sadness, and make for a standard enjoyable Honeycomb experience. While visually the marshmallows aren’t a home run, the overall cereal-eating experience is “a foul ball that goes into the crowd and hits a little kid in the head and he’s bleeding and crying but the team gives him some autographed memorabilia to make him feel better so in the end it’s a pretty good deal for the kid.” Or something like that. I think now they’re just going out of their way to disgust us.